In this post you will learn a fundamental mistake all doctors (and physician leaders) make about burnout -- and how changing the questions you ask will make all the difference. "What is the SOLUTION to Physician Burnout?" On the surface it would seem a natural question for any doctor or physician leader to ask ... right? It would be swell if there was a solution to this issue -- the one thing you can do one time -- to make physician burnout go away. Unfortunately, that question contains an hidden assumption that messes everyone up right from the start. You can prevent and treat burnout, however you will need a different question altogether. Calling burnout a "problem" is actually a labeling error in the English language. If you believe physician burnout is a PROBLEM and you are looking for a SOLUTION -- you are actually blind to the true nature of burnout. This critical error will send you on a wild goose chase of frustration and struggle. - You try one thing -- like a vacation or sabbatical -- and it only helps temporarily. - You try another -- like meditation or journaling -- and it helps somewhat but is certainly not the solution you are wishing for. - Your "why can't I find a solution" frustration may lead you to the quicksand of self-doubt and you may even start to wonder "maybe there is something wrong with ME?!" You can absolutely prevent and treat burnout. However, you will struggle until you adjust your thinking to match the nature of the beast that is physician burnout. When you ask, "What is the SOLUTION?" Stop looking for a solution, cure, best practice, magic elixir, that one-thing-you-can-do-one-time-to-make-it-go-away. You will never find the solution to physician burnout for one simple reason. The use of the word "problem" is a very common labeling error in the English language. When a native English speaker sets a personal or professional goal -- and then runs into a barrier to reaching that goal -- we call that barrier "a problem". Very often we use this word incorrectly. The word problem actually has a very specific definition. Problems have solutions - this is the nature of a problem. When you apply a solution to a problem, what happens to the problem? So a PROBLEM is something you can make disappear in a single step with a single action. If you are facing a challenge that CANNOT BE SOLVED IN A SINGLE STEP -- then that challenge is NOT A PROBLEM. A challenge you can't solve is not just an especially difficult problem -- it is a Completely Different Animal. In the case of burnout, the balancing act is all about preserving your life force -- maintaining a positive level in your energetic bank accounts. 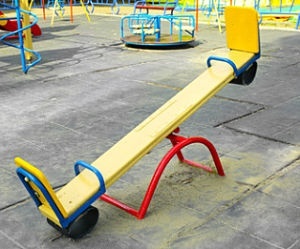 Think of a teeter totter like you would see on a children's playground. On one side is the energy you put into your practice and your life -- on the other side is your ability to recharge your energy. Ideally you can keep this teeter totter in balance and maintain a positive energy level. When a stressful day or week drains your energy reserves, you must have ways to restore that energy and refill your energy levels. Noticing when you are drained and having ways to refill your energy reserves and maintain a positive balance is the key to preventing physician burnout. Notice that this teeter totter does not stay balanced all by itself. To keep it level you must make constant small adjustments on both sides of the balance point. There is no single action you can take one time that freezes the beam at horizontal. There is no SOLUTION you can apply that will eliminate your need to actively maintain this balance. The same is true for maintaining your energy balance and preventing burnout. Not a one-step solution, a fix or a cure. Instead, a strategy is a coordinated series of actions, applied regularly to maintain the energy balance you seek. - The best strategies are just 3 - 5 steps. - And, because the risk of burnout never goes away, these 3 - 5 steps must become HABITS. Challenges you cannot solve in one step are Dilemmas - never ending balancing acts -- Physician Burnout is a prime example of a Dilemma. When facing a Dilemma - you must create a Strategy to maintain the balance you seek. Just 3 - 5 steps. The steps of your Strategy must become Habits because the Dilemma of Burnout never goes away. You are ALWAYS AT RISK. If you want to address physician burnout, you MUST Focus On Building Your Personal Prevention Strategy. "What is my STRATEGY to Prevent Physician Burnout?" What are the 3 - 5 steps I can take every day, every week, every month to maintain the balance that prevents me from entering the downward spiral of burnout? 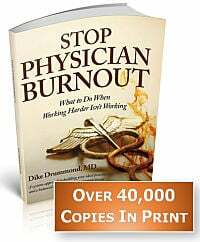 We teach 117 proven ways to prevent physician burnout. 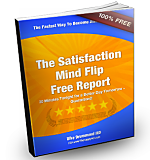 - If you believe you are looking for a single solution, that would be very confusing. 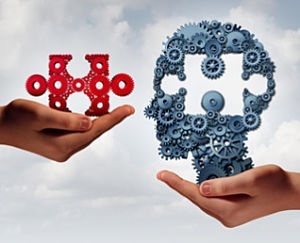 - However, if you understand you are looking for 3 - 5 strategy components to match your situation ... this smorgasbord of options should be of great comfort. 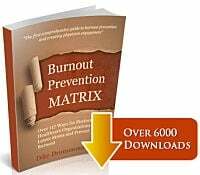 With our experience coaching several hundred physicians to successfully reverse their burnout -- we can give you some solid recommendations on tools for your burnout prevention strategy. 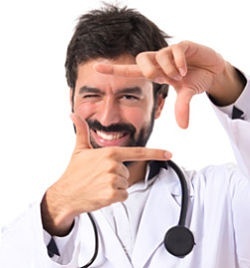 If you are a physician leader, you will never see an authentic problem in the administrative role of your job. Simple things like problems get solved on the way to your desk. Take a moment now to notice the "problems" you have been unable to solve in your leadership role. Now ask yourself are these challenges even problems in the first place? You will find you have been looking for a solution when the issue you are addressing is not a problem in the first place. INSTEAD: Ask questions to focus your people on forming a 3 - 5 step strategy and a metric to measure your balance point. You will find things get a lot easier. How does moving from Solution to Strategy help you address burnout and maintain balance?